As always, if you have any additional information or photos for the pages on this website I would be delighted to hear from you at rob@robsly.com. From September 29th 2007 I shall record all changes of vehicle status on this page with credit to the contributor. I am in the process of adding a page for every operator who has ever run a VR, RE, LH or Lodekka. You can follow progress by visiting the Operator Cross Reference page. I am also adding a history page for every individual VR, RE, LH and Lodekka. You can follow progress by visiting the Illustrated History Log page. Hot on the heels of Shane's discoveries, Frans has tracked down two more VRs; SNJ591R and YMB518W are both in use as caravans at Kampeerterrein De Lievelinge in Vuren, Holland, having been fitted out as living accommodation. Shane has recently returned from yet another fruitful trip to mainland Europe. This time he has scoured Belgium, Luxembourg and Holland and has come up with some real gems. Pride of place has to go to former Eastern National MVX879C which has been missing for so long that it doesn't even appear on my list of possible survivors! Exported to an unknown owner in Belgium in 1982 it has sat for more than 35 years at a site near the Moulin tram station in Charleroi. Another long-lost FLF to turn up is rare 31' ex-Central S.M.T. BL316 (FGM316D) which has recently been acquired by Bus 2 Be in Lobbes, Belgium after 25 years of sitting in a scrapyard! They plan to put it back on the road with the engine from a Leyland PD3. we wish them luck and look forward to checking back in with this project in future. Further Lodekkas tracked down and photographed were VCS354, OVL488, 832SHW, HEV996B, KDL412, LDL720 and BOD35C plus VRs HWE826N and PRC851X, all in various conditions from concourse (the pair at the Heineken brewery) to derelict (the pair at the paintball park) as can be seen by clicking on the various histories. Many thanks to Shane for his hard work locating this impressive haul and for sharing the results with us all. Convertible FS6G 866NHT is a completely remarkable vehicle. Delivered to Bristol Omnibus as L8576 in 1961 it had a full 20 year career with them which would be more than enough to see most off to the scrapyard. 8576 however was only just getting into its stride. Periods of operation followed with Stagecoach, Wilts & Dorset, Mac Tours (Edinburgh), Dreadnought Coaches and finally East Yorkshire until this February when it was sold into preservation for the very first time after an incredible 58 year career! Former Eastern National FLF6G JHK459C has been in use at Broken Arrow, Oklahoma as a static restaurant called Zesty Freddy's since at least 2010, but is now out of use and in poor condition. This was one of the Lodekkas converted with a rear staircase for use at Boston Double Deckers in the mid 1980s and had been missing since 1990 until Bob sent me a link recently. Former Red & White LD6G L657 (SAX989) has been in use as a playbus in Germany since at least 2003. It was spotted recently having moved south from Gutersloh to Weingarten on the Swiss border, still mobile and still entertaining the kiddies. Mike has just returned from a three week trip to New Zealand. In contrast to his first visit in 2005 when there were Bristols to be seen right across the country he saw a mere three vehicles this time! Former Christchurch RELL 573 (JJ7227) was in use at Tauranga as a hut or static home, while VRs GNJ569N and NHH406P remain in use with their caring owners in Auckland and Dunedin respectively. Mike's Used Bus & Coach dealership in Warrington currently has five VRs on the books, all for sale. They are CRU301L (Hants & Dorset's first VR which is in poor condition and would really need a serious preservationist to take it on if it is to be saved), JWV258W (derelict, having previously been used as a storeshed), AHW198V (also derelict having previously been used as a mobile home), CJH119V (open-top, converted to offside entrance and repainted for another customer who then cancelled) and FDL679V, recently re-acquired from non-PSV use. Finally, former Yorkshire Traction/Johnson of Hodthorpe TDT864S has found a new home as a static classroom at a school in Westminster. Two ex-Western National FLFs have been parked at Cameron's Restaurant & Inn, Half Moon Bay in San Francisco for nearly 20 years. EDV513D and BDV261C remain at Half Moon Bay, the latter being used as an "eyecatcher" for the nearby RV park. After 14 years hiding away under cover in Denmark, former Wilts & Dorset LD6G OHR123 is being prepared by its owners, Lunde Taxi & Turistfart, for restoration work and a potential return to use as a tourist bus. A rare piece of news in 2019 is the acquisition of a VR by an operator for a return to service! Before readers in the UK get too excited the company involved is Headfirst Travel in New Zealand who already run former Cumberland NHH406P on tourist services in Dunedin on South Island. Amazingly their latest purchase is another Cumberland VR, KRM433W. It is to be restored having been out of use with Party Bus for some time after which it will be used on Headfirst services in Napier on the east coast of North Island. Former Clevelant Transit Northern Counties-bodied VR RDC108R is currently for sale on Facebook Marketplace. It has been in Denmark for several years and is pretty much gutted inside. Paul has been on his travels again and has tracked down a number of vehicles in the Caribbean. He confirmed that SKL682X and 266SFM are both still with their owners on the Netherland Antilles and Aruba respectively, but had a harder time on Antigua. 817MHW proved elusive and he hopes to track it down on a future trip, but he did find 205NAE and CDL480C with Rum Bus, Crab Hill, the former now in use as accommodation while the latter has been converted for use as part of the restaurant with a bar downstairs and seating upstairs. Former Maidstone & District FKM878V changed hands last June and is now owned by Simone FM in Emmen, Holland as a very luxurious exhibition unit. It's not the first VR to carry advertising for them, TEX401R having been prominent in their livery some years ago. Having been for sale for several months, EWS752W has now been bought by a private owner on the Isle of Lewis in the Outer Hebrides for conversion to a mobile home. Piet Verbeek has added another Lodekka to his growing fleet. This time it is former Wilts & Dorset 683AAM which has had an extensive overhaul and has also lost its roof. Rare little Plaxton-bodied LHS coach RGF231P, new to Epsom Coaches, is currently for sale on eBay. After no fewer than 20 years in the Lydney yard of London Bus Export, former United Counties VR HBD914T has been resurrected and converted for use as an immobile classroom and has nmow been installed at Icknield Infant School in Letchworth. Unfortunately former West Riding RUA456W has been destroyed by a fire on 3rd February at Shoreham Cement Works where it had been in use as a static caravan for several years. It is a rare occurence these days to add a new operator to the lists who have run VRs, REs, LHs or Lodekkas over the years, but Mid Wales Travel of Penrhyn-coch have joined the ranks recently with the acquisition and repaint into fleet livery of UWV622S. It is also of note that this sale leaves Express Motors of Bontnewydd without a Bristol for the first times since 1986. Frans has confirmed the identity of several Lodekkas with Movil Bus of Vigo, Spain including Western National 2054 (BUO202B) which had not previously been reported as exported and had been presumed scrapped, having last been noted with Church Army in London in 1983! The ADM in Amsterdam is probably the highest profile "squat" anywhere in the World, having grown over more than 20 years and occupying a large area of north Amsterdam. The city council recently gave them six months to quit the site and that period is up this week. Many vehicles have emerged from the depths of the woods in which many people have been living, but a big surprise was Northern Counties-bodied Bristol LH which was new to Lancashire United as their 332 (UTD295H). This had been last seen in 1990, converted to a caravan in Wiltshire and was last taxed in the UK in August 1991 so probably went overseas then. A photo of it is shown here and as can be seen it is in very poor condition and seems likely to be going immediately for scrap. Almost twenty years since the last VR was reported in use with British Double Deckers in Denver, Colorado, U.S.A. a pair have turned up in a yard in the Lakewood area of the city. They are the two survivors from the fleet that were still known to be present in 1999 - fleetnumbers 302 (YNW290S) and 307 (HUP764T). Sadly both are derelict and after being advertised on Facebook have now been sold for scrap. At one point in the mid 1990s Denver was a central hub for the importation of VRs to the US - you can read the background story here. A rare addition to the list of survivors on this website is former Hants & Dorset LD6B SRU998 which has reappeared in Holland after almost 30 years hiding away in storage! It was extracted in November and sold almost immediately to enthusiastic owner and operator Piet Verbeek of Veen. Shane has been on his travels again, tracking down Bristols in Belgium and Holland, and has kindly provided detailed notes and photos from his trip. First visit was to British Hours Events in Couvin where owner Johann Hallet showed Shane round his three VRs; former East Kent XJJ669V, United SGR797V and Hants & Dorset KRU838W. Next up was Camping de la Semois at Florenville, near the Luxemburg border, where Western National FLF EDV517D is in use as a static caravan. It appears to have been repaired since its mishap in a ditch last year! Bus 2 Be at Lobbes yielded possibly the only collection of a Lodekka, VR and RE anywhere outside of the UK! The Lodekka is Western National BOD24C, the VR is dual-door City of Oxford OUD484T which was in the paint shop receiving red livery, while the RE is former Citybus XOI2527 which is in an unusual livery applied for some film work. Final stop in Belgium was Lokeren where Crosville 900VFM is kept in Frank Bellens's back yard. Frank bought the FLF from my correspondent Karl van Camp in 2006 and operated it for several years as a mobile bar. It has been off the road for about three years now, but Frank intends to renovate it at some point. Benny has recently acquired Bristol Omnibus FLF6G 7252 (FHW157D) which joins his other FLF (JPW459D) in Hoykenkamp, Germany. There is currently plenty of activity in the preservation world affecting United Counties vehicles. Great news is the completion of the restoration in NBC green of VR XNV882S by Bob Pain which has received great attention to detail during the work. Steve Graham has rescued RE TBD278G from Express Motors who had been slowly restoring it since withdrawal more than 25 years ago. Work has accelerated and a Gardner 6HLXB engine from an Irish RE has been fitted which should give it sparkling performance. Other United Counties vehicles also being readied for work are UBD757H and RBD319G. Paul's latest discovery is former Bristol Omnibus/West Riding/Lincolnshire JAE630D which has been in Canada since 1983 and changed hands most recently in May 2018 when it was bought by Snyder Farms. Bright, Ontario who have repainted it and converted it for use as a static restaurant on their premises. A nice pair of Lodekkas with Axel de Sadeleer in Brussels, Belgium are former Western S.M.T. VCS354 and Eastern National HEV996B, both of which are in red "London" livery. Former Eastern Counties ONG352F is currently for sale in Austria, while rare Leyland O600-engined KRU239F is for sale in Germany. Another FLF alive and well overseas is former Bristol Omnibus 7258 (FHY128D) which is currently for sale in Sweden. I know this Lodekka from my time in Stockholm in the mid 1990s when it was highly active, but it has become harder to operate in recent years as regulations in Scandinavia make it difficult to keep older vehicles on the road. I would love to see this one repatriated, but tellingly the asking price is not displayed on the advert! Former Western SMT RAG401 is still alive in Castle Rock, Colorado in Arun's ownership and is indeed being given a new lease of life having been fitted this week with the redundant Gardner engine from a scrap VR. A photo of the operation can be seen here. Former Hants & Dorset 1564/1261 (KRU238F) is currently for sale in very poor condition in Des Moines, Iowa, U.S.A. The advert can be viewed here. AJH854T had last been seen in 2012 with Roselyn, but has now turned up with Dan at Winkleigh having been stored off site until earlier this year. Paul has been on his travels around Canada once again. He visited Sault St Marie where Bristol Omnibus DHW983C had been used as a storage unit at a breaker's yard but the site has now been cleared and Paul was told that the FLF was sold for scrap at that time, six or seven years ago. 700 kilometres down the road at Thunder Bay was 31' Scottish Omnibuses GSG210D, converted for use as a restaurant at Northern Lights Golf Club. It has been converted to partial open-top with tables on the top deck and a kitchen and servery on the lower deck. Java Dawg Coffee in Sarasota, Florida confirm that they are still using open-top ex-East Kent VR TFN988T as one of their mobile retail outlets. This must be the last Willowbrook-bodied VR anywhere still in any kind of revenue-earning service. Former United Auto 739 (CPT739S) has been in Russia since at least 2008 as a tour vehicle in St Petersburg. It was last seen there, converted to open-top in 2014. However it has now appeared in a yard in Yalta, Crimea (the disputed territory between Ukraine and Russia) where it appears to have been fitted with a replacement engine and possibly a new transmission with a huge bonnet extension at the back. Photos can be seen here. It will be interesting to see whether this conversion ever sees a repaint and returns to the road. Derek has just returned from Prince Edward Island off the coast of Canada where former West Yorkshire VR LUA717V is still hard at work with Prince Edward Tours, still carrying registration RLJ799H which of course originated on a Wilts & Dorset RE. Ex-Eastern National XHK232X (carrying SMS37H) was not seen however. Mark exported former Eastern Counties FLF473 (KPW473D) to his home town of Oberon, Australia back in 2012, the bus having spent the previous 26 years as a mobile caravan with Church Army, being seen all over the UK during that time. Six years later and he has completed a marathon restoration including a repaint and mechanical renovation - a great effort on the other side of the Globe for which he should be heartily congratulated! Paul Bateson Paul continues to keep track of British double deckers throughout the North American continent and recently visited two Lodekkas in Canada in the shape of Eastern Counties FLF449 (HPW449D) and Wilts & Dorset LD6B 612 (LMW915). The FLF is located at Body by Biggs workshop in Coldwater, Ontario where work has not progressed since Paul's last visit in May of last year. The LD is also untouched, and therefore still in very poor condition stored at Campbellford in Ontario. Photos of both can be seen on the Spotter's Log page of this website. A very early Lodekka export was Crosville DLG879 (836AFM) which went to Melbourne, Australia in 1972.... and is still there today with Dee Decker Tours! It was fitted with a Cummins engine during accident repairs a few years ago and has an AEC front grille (having masqueraded as RM4 for a while), but is otherwise reasonably original and is currently for sale on Gumtree. Former Yorkshire Traction ultra-lowheight VR LWG847P is currently for sale in Holland. A rare visitor to Manchester this weekend at an outdoor event is former P.M.T./Ribble ultra low-height VR URF661S which these days is based in Holland but is obviously still highly mobile! It is converted for use as a bar and has no doubt been much appreciated in the current hot summer weather! RELH6G with ECW Series 1 coach body RDV419H is currently for sale on eBay. An FLF very much on the move in the U.S.A. is former Crosville EFM634C which has until recently been the "Lodekka" dress shop in Portland, Oregon but has now made the long journey across to the East Coast and is parked at the Wooden Bat Company in Cooperstown, New York. Its new use is currently unknown but this looks like an exciting new chapter in the life of this bus! Of all the places to run into a VR Dave chose to be in Yerevan, Armenia this week and came across former Eastern Counties VR245 (KVF245V) plying its trade as an oversized ice cream van! It has been converted with an offside entrance and also appears to have had a telescopic roof section fitted. It was noted at Felixstowe Docks in January 2017 going for export having sat at London Bus Export for many years, so it is very lucky for us that Dave stumbled across it. Tom reports that Thornes of Bubwith still have their lovely little trio of preserved Bristols in the form of Plaxton coach LHS LBT380N, prototype Nimbus-bodied LHS MBO1F as well as SUL EWT836C with plans to restore one or more of them to use in the next year or so. Benny has successfully acquired former Eastern Counties JPW459D and has relocated it from France to Germany. Ian reports that his company Howard's Coaches acquired RELL6L SJA382K last November and are busy preparing it for Class 6 MOT and repaint into North Western livery. By my calculation this is actually the fifth application of this livery that it has received during its life! Former United Counties VR ONH928V is still alive and well in Italy - in fact I have just sold the owner a drive belt for the Gardner 6LXB engine in it! Cliver has added to his collection of Crosville vehicles with the acquisition of DVG509 (YMB509W) from Grierson of Fishburn where it has been sitting unused but mostly complete for many years. This leaves just LHG447T and BEP975V on site with Grierson, although both have been derelict and open to the elements for a couple of decades and are probably well past saving now. A recent repaint into very attractive Suffolkbus livery is Alexander-bodied RELL6G XOI2526 which is owned by Andy Cooke. The second FLF from the same batch to turn up within a week is KRU225F which has been discovered to be in Zagreb, Croatia. It was photographed in 1996 in beautiful condition with "London-Zagreb" in the destination box. Sadly by 2015 it had been discarded and was photographed in derelict condition without its Bristol BVW engine and it seems likely that this will be the end of the road. Some mystery had surrounded this Lodekka because the registration was carried by HRU677E for many years in Florida and it had been thought that both had crossed the Atlantic, but the swap must have taken place at Omnibus Promotions prior to them going their separate ways. 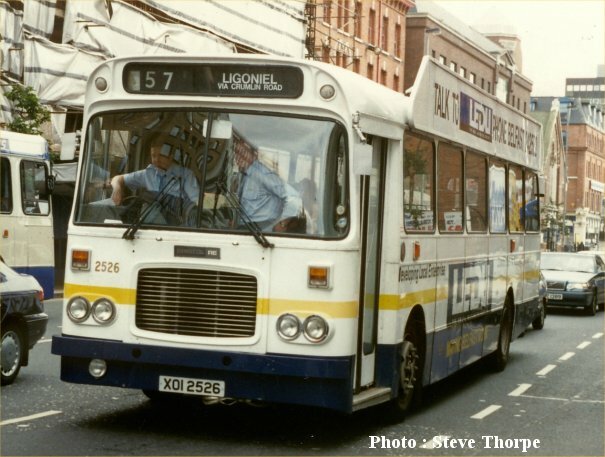 When Ulsterbus/Citybus finally withdrew its last Alexander-bodied RELL6Gs in 2003/4 a large number crossed the Irish Sea back to England where it was hoped there might be a significant secondhand market for these reliable buses. Sadly time had moved on and only a handful saw any further revenue-earning service. Although they turned up all over the country most were owned by dealer Wealden of Nettlestead and many were placed in long-term storage. Tommy (who recently purchased AXI2541 after 13 years of inactivity) confirms that only four remain in Wealden's ownership - AXI2545, AXI2548, AXI2552 and BXI2562, so if anyone can shed light on the fate of UOI2374, UOI2386, AXI2532, BXI2579, and BXI2584 please do get in touch. Former Alder Valley HJB460W is being used in Holland as a mobile clothing outlet with Vintage Factory. Dominik Wojcik Another Lodekka on the move is ex-Thames Valley FLF6G FJB738C which David-Jan Baan has sold to operator MPK Czestochowa in the town of that name in Poland where it is already in use as a tour bus. Footage of the bus in use can be viewed here. More welcome news from Holland is the re-appearance of former Brighton, Hove & District/Top Deck Travel FLF6G KPM83E which was registered OPC48E latterly with Top Deck. It is currently static at Nieuw Rengelink Camping in Aalten. Due to restrictions introduced in Holland in recent years most Lodekka sales these days are out of the country, but a 2017 import from Germany is former United Auto SHN252F which has been acquired by Zijpe Stijl for use as a mobile seafood restaurant in the Amsterdam area. No doubt its Carl Ireland roof modification to reduce overall height to 4 metres was a major factor in its arrival. I have been aware of an ex-Thames Valley FLF with Anton Graf Reisen in the town of Herne, Germany for several years (since at least 2008) but Frans has now finally provided a chassis number for it (231022) which positively identifies it as GRX129D. A glut of Bristols have appeared on the market today! Former Lincolnshire/Johnsons VR LVL807V is currently for sale on eBay, having been part converted for use as a restaurant in Scotland. RESL6G LED72P, ex-Warrington is in poor condition but available here, while a gem is Mark I ECW coach-bodied RDV433H which was new to Western National and is in the middle of what looks to be a very thorough restoration here. Shane Ross/Frans Angevaare Further VRs and Lodekkas tracked down by Shane and Frans this month are WJM820T, buried in junk (and not licensed since 2010) at Pine & Classics at Oirschot; MEL562P still carrying its massive wooden clog on the roof at Monnickendam promoting Mart Leek's Cheese & Clogs business; OVX297D and JMR818F (over which there remains a mystery as to which is which as they appear to have swapped builder's plates at some point) and GRF696V which is currently undergoing a massive refurbishment at Hoogezand-Sappemeer near Groningen in preparation for use as a catering vehicle. Shane's photo reveals that GRF has received a Gardner 6LXB engine at some point replacing its original Leyland 501 unit. If anyone knows when this happened I would be pleased to hear from you. Last - and most definitely not least - Frits van Eerd's JFM234D was viewed at Jeghel in the Jumbo supermarket complex. This former Crosville FS6G was comprehensively refurbished in 2014 and looks utterly immaculate. All the chromework has been renewed and it is fitted with a piano which doubles as a bar. Frits is the member of a band which obviously uses the bus on occasions as the seats have been specially recovered with instrument motifs. Truly a magnificent example of a 52-year-old Lodekka. On the advice of Frans (who seems to know the whereabouts of every British bus in Holland!) Shane visited Paintball Twente in Hengelo last week in order to visit VR UWV620S (which was indeed present, in use as an open-top hospitality vehicle). However, a big surprise was the presence of an engineless LD in use as a fast food outlet with a big hole cut in the offside where customers could sit and eat. Fortunately the bus retained its fleetnumber (2360) and builder's chassis/body plate (150013/10297) which positively identifies it as ex-Lincolnshire SFU314 - unreported for nearly 40 years when Frans himself photographed it with Kleyn Trucks in 1980!! Alan came across former United Welsh LD6B LWN49 in Einbeck, Germany this week. It is owned by PS Speicher who have a technical museum in the town and acquired the Lodekka around four years ago. Sadly it is restricted to the private roads of the museum due to being 3cm too tall for the surrounding public roads, but at least it is still mobile and in good hands! Martin came across former Christchurch RE 540 (JI9340) last week, now converted for use as a mobile home and on its way from Waihi (in the far north of New Zealand) to Hampden in the far south! Believed to still be powered by its Leyland 501 engine this is quite a survivor! Less fortunate is former 605 (JP5907, now registered RC6832) which is for sale on TradeMe less engine and gearbox in the Christchurch area. A recent visit to London Bus Export at Lydney (who generally do not welcome enthusiasts, so please do not just turn up expecting to look around - they have a large alsatian!) revealed that they still have a good stock of Bristol double deckers. Three Lodekkas were present - a new arrival is EHT854C which is a caravan conversion, OPN807 which arrived from preservation last year and 467BMR which has been owned since 1995 and is used as an exhibition unit. As the company name implies these are all likely to end up with overseas buyers reducing the U.K. Lodekka total yet further. Six VRs were also in the yard, all long term residents in the form of HBD914T, EWS740W, DRB307H, NUD101L, HJB452W and HJB453W. Some photos from Ken's visit are on the Spotters' Log page here. Shane and Ross recently visited De Raekt Investements in Budel, Holland who own three Lodekkas. SRU981 was new to Hants & Dorset and was used in the UK as a non-PSV for many years before being exported in 2013. 558BNG is a rare Eastern Counties FL6G which has been in Holland since the mid 1990s, while DEL893C was sold by Crosville (the Weston-super-Mare version) in 2014 and its location was unknown.... until now! The first news for a while is that ex-East Midland KWA215W has changed owner in New Zealand. Having gone from Auckland at the north of North Island to Invercargill at the south of South Island it has now passed to Sam Carroll....back in Auckland! It is currently undergoing some repairs to prepare it for the long slog back up the length of the country! Mark drove open-top YMB519W from its long term storage location in Lydney to Dover docks on February 12th and then onwards to its new owner, Ewald Restle in Pfullendorf, Germany where the VR is to be used to promote a music festival. It had been acquired directly from service with Arriva Cymru in 2005 and had spent 13 years virtually unused before receiving a new MOT and driving - without fault - the 741 miles to its new home at a steady 43mph over three days! Les has followed his favourite FLF, former Crosville DFG260 SFM260F, for many years since it left the UK, through France and on into Spain where it has been converted into a very highly specified exhibition unit. Owned for the last few years by Carlos Hernandez it was sold last year to a "bus enterprise" in Ourense. This could be UNVI, the manufacturer based in that town or it coud be Movil Bus who are based in Vigo about 10 miles away. We will make some enquiries to see if we can confirm the current owner. LHS/Plaxton coach RGF231P, new to Epsom Coaches, has been in the hands of the Burke family for many years and has obviously received a lot of love and attention in that time. However sadly two members of the family have now passed away and the remaining brother is now selling the coach. Restored and running LH coaches are relatively rare and you can buy it yourself here. Every now and again a VR stars in a TV show and last night was the latest example. George Clarke's Amazing Spaces featured ex-Southern Vectis ODL662R which Ellie Banner-Ball acquired after Johnson of Hodthorpe had finished with it and has converted it into a mobile home as is the current fashion. The addition of double-glazed windows means that the original bodywork is now considerably hacked about, but it means the bus will survive and hopefully the new owner will get many years of enjoyment from it. Thanks to several correspondents who got in touch to let me know about this - you can watch the programme in full here. Former Western S.M.T. B1561 (OCS65) is currently for sale in Austria here. The squeamish should not look at the asking price! Chris came across former Mansfield District BNN292C in Cologne, where it has been in use by the city's Carnival Committee since 1997 when it was exported. Sad news, given that it is the sole remaining LDS6G left in the UK, is that Brighton & Hove 7 (OPN807) has passed to London Bus Export, Lydney (dealer). Photos of it on tow show that the registration plates have already been removed which suggests that the mark is to be sold separately and that an overseas buyer is already lined up. A remarkable and very welcome working today is KRU224F (owned by Trevor Shore of Dekkabus) on rail replacement work for South Western Railway at Bournemouth. It is the first time that this vehicle has performed such work since 1980. I have managed to source some merchandise to complement this website which are great fun and reasonable prices. Please take a look at what's available here. LD6G ODL10 has recently begun a new life on the island of Gran Canaria in the Atlantic having been sold at auction in Holland. It is of course well used to island life having been new to Southern Vectis, although it may find the climate somewhat different in the Canaries! Bernard kindly supplies news that former Western National LD 501BTA, resurrected back in 2011 and exported to Japan, has moved on within that country and is now at Shiroi Koibito Park, Hokkaido where it is a static exhibition at this theme park. Julian's latest discovery is Hants & Dorset FLF6L KRU236F which has migrated in recent years from Germany to Russia. This may well now be a unique vehicle being a semi-automatic Leyand O600-engined FLF. There is plenty of photographic coverage of its move in June 2013 here. Julian clearly has too much time on his hands over New Year! He has found another Eastern Counties Lodekka, this time it is FLF467 (KAH467D) which has been in Germany since 1986 and looks like it may have been with the same leukemia charity - Stefan Morsch Stifnung in Birkenfeld - for all that time. Julian stumbled across this image of former Eastern Counties FLF450 (HPW450D) today, taken in Ljubljana, Slovenia. The date of the photo is frustratingly vague, but is certainly significantly more recent than the last reported date of 1993. So who is going to be the first to take up the challenge of scouring the city on Google Street View to find it and date it? Crosville FS6G JFM234D received a comprehensive refurbishment in 2014 at the hands of Bart Prins (Opijnen, Holland) and is now owned by band Factor 12 who use it as a tour bus. It appears that prior to acquiring the Lodekka the band hired VR PHY702S from Drenthe Tours, Assen (who now own NUM341V). PHY was passed on in 2014 to Vos, Ter Apel who also own TEX401R which is used to promote radio station Simone FM. The amount of churn of owners for both VRs and Lodekkas in Holland shows no sign of diminishing! Niek has recently started up English DoubleDeckerDiner, a mobile restaurant in Delden, Holland using converted ex-Western S.M.T. FLF6G AAG119B. Johann Hallet has two VRs in Couvin, Belgium for private hires under the name British Hours Event. XJJ669V is painted in a facsimile of East Kent livery, while SGR797V is partial open-top in pseudo-London Transport red. Carl has started a new vintage bus hire company in the Bournemouth area called Romeround. From his Facebook page I can see that his first bus was a Routemaster (no complaints from this quarter about that!) but in September he also acquired ex-Southdown convertible open-top VR UWV623S from Mortons Travel of Basingstoke. We wish Carl well with his venture. Shane had an amazingly productive trip to Holland in May this year. In addition to 683AAM mentioned below he also came across YHT932 (of which more soon as I have some amazing news about this one), PVO812R, WDM348R, AAG119B, WVX527F, 68DNG, JFM220D, EHW191C, WVX525D, FJB738C, JHK455C, FAO425V, UWV612S, YMB518W, BNG886B, JAH551D, 691AAM, 692AAM, 694AAM, 504BRM, LDL720, LEL652F, EMR293D, RHN948F, BOD36C, 428PTA, CPT732S, STW22W, WHY947 and OVX297D. The last one has something of a mystery attached to it as it appears to be carrying the chassis number of JMR818F including at least part of the actual chassis (enquiries are ongoing about this). I am sure that you will agree this is a quite incredible haul for 2017 and goes some way to explaining why I'm so busy keeping this website up-to-date! Hot on the heels of the rediscovered VR below, a former Crosville FS previously believed scrapped has turned up alive and running well in Germany! DFG155 (4225FM) is with Eiscafe Paulini in Ganderkesee, near Bremen and is undergoing conversion to a mobile restaurant. It withdrawn by Crosville as long ago as 1980 and had several owners as a driver trainer until it arrived with well-known dealer Ted Brakell in Cheam in 1992. There was always a good chance it had been sold on, but no proof had turned up until Benny got in touch with a photo of the chassis plate. If you are on Facebook there is a brief video showing it running here. Rather amazing news is that of former Brighton & Hove/Southdown Series 1 VR OCD769G which is currently in Italy undergoing substantial renovation work for use as a mobile restaurant. The surprise is that this one was believed scrapped more than 30 years ago after disposal to Ensign. The clue was there however, because the DVLA website does have it marked as exported! If anyone has more information about what the bus has been up to in the intervening 30 years I would love to hear from you! Mark confirms that the last two survivors of the once-large Embling fleet of VRs remain in his hands. Open-top BKE861T still sees use on weddings and private hires, while AUD460R is now retired and is considered to be preserved. Two FLFs that have remained in the U.K. since withdrawal from service in the early 1980s but which have kept a very low profile are new-to-Eastern National RVW393D and RWC943D which both passed to Alexander (Midland) in exhange for early VRs in 1971. Both were subsequently used as driver trainers by Northern Scottish before being sold together to a Mr Bradley who has kept them in private ownership ever since. They were converted for use as summer houses by the family and were used as such for many years, but are now resident at the Last Bus Works Canteen which is a vegan cafe at New Pitsligo near Fraserburgh to the north of Aberdeen. They can be visited when the cafe is open, but before you all book your flights to Aberdeen Airport do note that the cafe is now closed for the winter and has restricted opening hours, summer Saturdays and Sundays only this year. I will endeavour to establish the opening plans for 2018 and will post them here if successful. Meantime there is an excellent album here showing both buses in detail. Of great note is that RVW has been fitted with a brand new Gardner 6LXB engine, so will presumably be out and about as a "pop up cafe" next year! RWC on the other hand has been unlicensed since 1986 and will presumably remain a static exhibit. 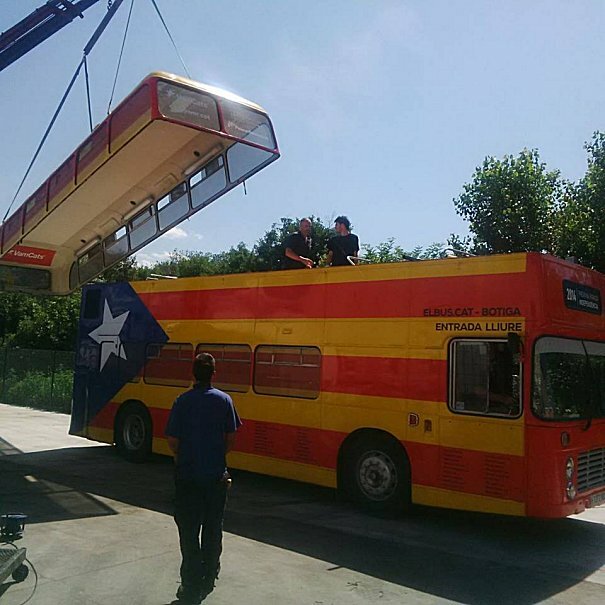 Previously unknown to me convertible VR UWV613S has been busy in Spain for quite a few years as The Catalan Bus, painted in a striking version of the Catalan flag. Catalonia is now very much in the news due to the push for independence, although I haven't yet seen the VR take centre stage on any news reports! It is still very much used both as a closed-top and open topper as can be seen from this photo of the roof being removed. Ray came across former Trent WRC831S recently in its new location at The Hoosick Tavern at Hoosick, right on the border of the states of New York and New Hampshire. It was towed there so is only used as an immobile "eye catcher" but it looks good and certainly does what it says on the tin! Simon reports the acquisition of a fine pair of VRs for private preservation. He is based in Leeds so West Yorkshire 1746 (PUM149W) is local to him, whilst VDV142S comes from further afield being one of the convertible VRs new to Western National which has latterly been in the private hire fleet of Chepstow Classic Buses. Former Western S.M.T. FLF6G TCS179 is currently for sale in Omaha, Nebraska, U.S.A. at $37,000. Previously unknown to me is that former Southern Vectis FLF6G GDL815E has been busy running in service for Lady Dive Tours in Ottawa, Canada this summer. Fortunately Paul photographed it hard at work in July. It has had some upper deck side windows removed for ventilation and is covered in a flowery livery for a local garden attraction. Another Lodekka tracked down in Holland by Shane is Wilts & Dorset 645 (683AAM) which passed to Frank ter Laak t/a Wheels 4 Travel in Oldenzaal a couple of years ago. It has been converted to partial open-top with the central section of roof removed. However it currently sits in the corner of a storage unit, surrounded by and filled with junk, so it seems unlikely to have seen much use here if at all. Chris debuted his newly restored Southern Vectis VR NDL652R at the Isle of Wight Beer and Buses event last weekend. By all accounts it was a coomplete triumph. Ben and Charissa Bartram are to be congratulated along with the rest of the team for their organisational excellence and if you missed it - or would like to relive the highlights - there is an excellent video here featuring almost wall-to-wall VR action! Peter reports that former Bristol Omnibus/Badgerline RE 1335 (OAE957M) has finally been sold for scrap to a Barnsley dealer after many years at Winkleigh used as a source of spares. Also now in use for spares there is VR tree lopper JWV251W which has now given up its engine and looks very likely not to run again. Ian has sent links to two of Trouwvervoer's Bristol double deckers that are currently for sale in Holland. FLF6G FJB738C is a runner (auction here) while former Cheltenham VR NHU671R has a defective gearbox but is otherwise intact (auction here). Rare dual-door ex-City of Oxford VR HUD479S is currently for sale on eBay in Rochester, Kent. Although many Bristols still exist around the World, reports are now at a level where it is feasible to list every sighting sent for inclusion on the website. I have therefore started a new feature called "Spotters' Log" where I will record and date all sightings and publish any relevant photos. There will not be time to go through large batches of photos of preserved vehicles at rallies, although a list of attendees will always be very much appreciated. This page will continue to record worthy news items as it has done for over a decade! 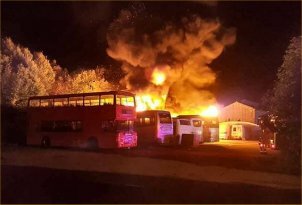 A disastrous overnight fire has taken place at Shoreham Cement Works where many buses and coaches are stored. It appears that 19 have been destroyed, but from a Bristol perspective very good news from Rob Lane is that one of only two remaining Leyland 680-engined VRs - Simon Holman's JWV275W - was bravely driven out from the flames by Rob himself. He could feel the heat inside the cab as the air built up - painfully slowly - but the bus is safe. Our condolensces to other owners who were not so lucky. Further to the entry below for April 17th, on a trip to Barcelona David has discovered that LEU262P is now owned by Skate Agora and is generally just used for storage. Once a year it is moved to the adjacent car park for their main skateboarding event, although it isn't clear whether or not this is under its own power. The VR has recently received a repaint for its new role. Tim has spotted that former Hants & Dorset VR BFX568T has travelled south from its last reported location of the City of London, Ontario, Canada to Atlanta in the U.S.A. where it has been operating tours by Atlanta Royal Tours since 2012. However, the last entry on their Facebook page is in 2014 so there is some doubt that the VR is still in active use here. Dave has saved another VR from scrap, this time picking up RAH260W from Ensign who had acquired it earlier this month from Neil Jordan (who plans to concentrate on his other VR RAH268W). It enters Seaford & District stock, although time will tell as to whether or not it sees any further use. For the record, NCD563M was scrapped last year having sat derelict for many years, and PWY37W is also fit only for scrap after many years of spares use while sitting out in a farmer's field in deepest Sussex. Lodekka LD6G ODL13 is alive and well in Holland having been photographed by Frans with its new owner after 37 years with Delta III/Bristol Business Promotions! It has been repainted allover red since its last report in 2010 and looks to be in good condition. Matthew did something fairly unusual a couple of weeks ago - he acquired VR KRM432W from Chepstow Classic and then drove it overland to Italy where he lives! It says a lot for the bus that it made the trip successfully and I look forward to hearing more about Matthew's plans for it in due course. The latest VR tracked down in Holland by Frans is National Welsh GTX748W which is still hard at work and has been owned since 2012 by Frank Massop at Winterswijk. Alan came across former Alder Valley VR 621 (KKK887V) in Malaga, Spain in August where it was promoting a video gaming conference called Gamepolis. Chris reports former Crosville FLF AFM113B alive and well and parked next to the highway in Holland. It retains its unusual snout which houses a DAF engine. Steve noted Plaxton-bodied coach LHS RLN230W in use as a mobile home at a music festival near Honiton this weekend. This was new to British Airways as airside transport, although it did spend a decade in normal revenue-earning service with Taw & Torridge. Convertible open-top FS6G 866NHT has been enjoying its private hire role with East Yorkshire since 2014, but has recently gone one step further and received the company's flagship registration, receiving the mark 80EYC. Ted came across former Eastern Counties FLF6G JPW459D yesterday in the French town of Villefranche-de-Lauragais, relatively near Toulouse. It was reported in use with Beziers-based operator Les Bus des Allées last year and carried their fleetname on the front, but this has now been painted out and it appears to have reverted to Dreams Limousines who probably had it out on hire. By co-incidence Julian has also checked up on sister FLF JPW456D recently which remains in use as a catering vehicle with Patrick Gobert in Belgium. Great news is the appearance on the rally scene for the first time of the very last VR delivered to the National Bus Company, Eastern Counties VEX294X. It attended the East Anglia Transport Museum event on July 9th to mark 30 years since the closure of the ECW factory in Lowestoft. Great credit goes to Viv for the restoration of VR294 - it was in a truly sorry state when he acquired it back in 2003, having been previously used for spares by First and then left open to the elements for a couple of years with many missing windows in Ben Jordan's yard at Coltishall. Will has just returned from a trip to the Costa del Sol where he reports two VRs were active promoting the Tivoli World attraction, Bristol Omnibus AHW199V in red and Southdown UWV619S in blue. There are many VRs in Spain but only the current whereabouts of a few are known, so if you do ever come across one please be sure to let me know. Simon has stored convertible open-top UWV615S nice and dry for the last four years, but it has now become the latest addition to the Seaford & District fleet where it is hoped to be operational for the 2018 season. Very welcome news is the return of KTL25V to its native Lincolnshire for a life in preservation with a member of the Lincolnshire Vintage Vehicle Society. In recent years it has been used by Chepstow Classic Buses on duties ferrying berry pickers around Kent. This use has done nothing for its appearance and it still carries battered Ebley of Stroud livery, although mechanically it is sound and drove up to Lincolnshire with no problems. Chepstow Classic are always open to enquiries from genuine preservationists for their remaining VRs. Former Western S.M.T. FLF6G TCS176 is currently for sale on eBay . It has been converted to a very high spec mobile restaurant based in Paso Robles, California. Mitsuru has been in touch asking for help with former Crosville open-top LD6G OWJ637A (928CFM) which was used for many years by London Bus Export in Lydney before being exported to Japan in 2015. It has a poorly alternator which we are hoping to help him get fixed. It is currently owned and operated by Shalleton Motor Services who have a good English website here. Ex-Crosville FS6G 4226FM was photographed this week in Munich in the latest in a long line of overall advertising schemes. This FS was hard to identify as it has lost some of its key features (such as the beading for its upper Tilling cream band) when being rebuilt with a large extension unit in the nearside for use in exhibitions, but remaining residual features and a process of elimination led to a positive identification. As can be seen from its history it has seen a lot of varied use in recent years with All-4-Event who also have former Bristol Omnibus 818SHW in their fleet. Cheltenham District/Bristol Omnibus FLF6G 7276 (HHW459D) is currently for sale in France here. Southern Vectis LD6G 550 (ODL10) is currently for sale in Holland here. Quite a surprise is the outshopping by the Cardiff Transport Preservation Group of open-top WTG360T in Cardiff Corporation Tramways livery and its use in revenue-earning service on service 6 to Cardiff Bay! This is a re-application of the livery which it first carried in the mid-1980s. The bus has been fitted with cash vault and contactless ticket machine, probably the only VR ever to be so equipped. Another former Johnson of Hodthorpe VR to pass through Mike's hands is ODL661R which was driven to Southampton Docks yesterday for onward shipping to South Korea where Mike is to rendezvous with it and deliver to its new owners! Preservation news sees flat-front RELL6G NBD311F join a host of VRs in Bob's collection based near Milton Keynes. All are ex-United Counties vehicles and the VRs are OVV849R, XNV882S are HBD919T. He also has UWV604S and JMB401T for spares, the latter having been the last Leyland 501-engined example in active use with Chepstow Classic Bus. Bob intends to use the 501 unit to re-engine OVV849R back to original condition. David has been in touch to say that he has recently acquired very rare Leyland 680-engined EWS753W from Mike Ellis. It has returned to the Bristol area and still retains its originally-applied Badgerline livery. Stefan, a former Top Deck employee, came across an LD in Germany this week, acting as the star attraction at a supermarket opening. He immediately recognised it as a Lodekka of course and through various identifying features has been determined to be former Southern National/Western National 1908 (UOD491), last reported in Munich back in 2002. Former Crosville semi-auto FLF SFM260F is still alive and well in north western Spain - lots of photographic coverage as its conversion as a hospitality unit here. It's the time of year for that great festival of bus operation that is Glastonbury and while there are more Olympians in use than in previous years the first day of activity yielded no fewer than eight operational VRs plus AYG941H in its usual role as driver mess/accommodation. Six of the Chepstow Classic fleet were in use, ie, VDV142S, UFX856S, XJJ653V, XJJ655V, XJJ659V and CJJ677W while Abus XHK221X and preserved VDV122S were the other two. Hopefully a few others might show up as things get into full swing at the end of the week. 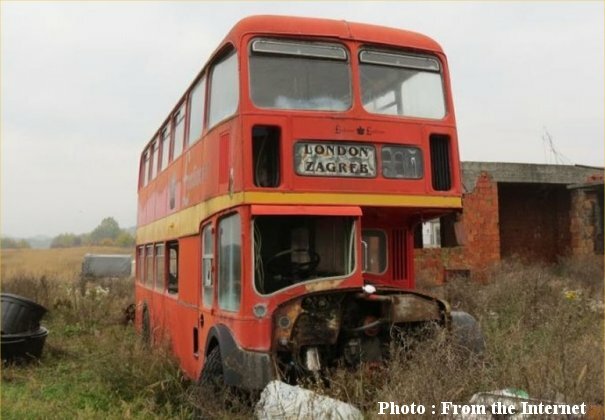 Another great Lodekka survivor to surface is former Bristol Omnibus LD6G L8482 (838CHU) which was last reported in Anchorage, Alaska in 2004 in a very sorry state. Since then it has moved just a few miles up the road to Wasilla where it has received a repaint (in red of course) and now sports a neat cover on its radiator and cowl, no doubt to protect it from the extremes of the Alaskan winter. Long-lost Lodekkas continue to surface. The latest pair are former Eastern Counties LFS17 (1117PW) which has been with the same family (Johan's father) in Belgium since it went there in 1978. To my knowledge this is the first report of it since then. Mark has sent news of a derelict FLF in Roanoke, Virginia which is currently being filmed in an episode of "Salvage Dawgs", a US scrapyard challenge-type TV program. Photos of the bus indicate that it is an ex-Eastern National coach example and the CBC radiators fitted indicate that it must be KNO949C which was last noted in Ohio in 2002. It will be interesting to see what happens to the bus during the course of the episode! West Yorkshire 1969 (RWT544R) is the latest ex-Johnson, Hodthorpe VR to pass through Mike's hands, this time setting off for a new life in Bordeaux, France earlier this week. The latest VR to be sold to a primary school for use as a library is Southern Vectis YDL676T which is at Bassetts Farm Primary in Exemouth, Devon. However it is likely to be the last such conversion for a while as it was the last VR in stock at InCube who stopped doing such conversions when they realised that some cherished previously-preserved vehicles had passed through their hands. Bristol LH NFJ592M is currently for sale on eBay . Bristol VR MDM285P was in Cheltenham over the past weekend debuting in its new role on the Mozzie Buzz Tour, operating as an anti-malaria exhibition unit. A friend of Marty's has spotted former United Counties 933 (SNV933W) now in use as an immobile library at Swallowfield Lower School in Woburn Sands. It has been there since early 2014 and has received a new coat of green paint (although I am yet to find a clear photo of it since). Gerry was contacted by a chap in California about a surviving Bristol K for his website (the bus is Thames Valley GJB275) which is currently standing alongside an FLF which has no obvious distinguishing marks. However a few features on the bus have helped me to positively identify it - the main clue is that it has covers fitted to its CBC radiator vents which were fabricated by West Riding. It is also missing its upper cream band which means it is a 1966 or later model and that narrows it down to one of the Bristol Omnibus FLFs that were sent north to replace the troubled Guy Wulfrunians in 1970. Further photographic comparisons show conclusively that this is former Top Deck U.S.A. "Rafferty" HHY184D which had been presumed scrapped after Top Deck finished with it in the mid 1980s when they closed their American operations. Both vehicles are in imminent danger of being sold for scrap as they are part of a collection of 122 old buses (most if not all of the others are US models) which have been made homeless by the local authorities who have requisitioned the land for redevelopment. The collection is owned by Egon Kafka who is a distant relative of Franz Kafka, the fantasy novelist known for his surreal and menacing settings - indeed this bus "museum" would have not have been misplaced in one of his stories! You can read more here. Another vehicle traced by Paul is former Eastern Counties HPW449D which has seen many owners during its time in Canada since 1984 when it was converted for use as a fish and chip outlet. Work has recently been undertaken by Body by Biggs in Coldwater, Ontario to reverse some of the conversion. However payment has not been forthcoming and the FLF is now languishing on their premises with its future uncertain. Paul has single-handedly kept tabs on former East Kent VR SKL682X during its time on the Caribbean island of Curacao. Originally brought to the island in 2001 by Norbert Dooper for use on a sightseeing route, permission was repeatedly denied for its use on the island's tiny roads, indeed Norbert was threatened with huge fines if it were ever to be used, so it sat and deteriorated for many years. It was eventually sold and in December 2014 opened as the Double Decker static restaurant at Santa Rosa in Willemstad. Its owner Maydolly Sano was very friendly when Paul visited in February and was delighted to learn more of its history when he presented her with a copy of the British Buses Abroad magazine! Former Southern Vectis open-top conversion FDL682V is currently for sale on Gumtree having been partially converted for use as a mobile home. Sister bus (still in the same livery) was noted in Southampton yesterday, but is safely in preservation. In 2012 I set out on a task to list on this website every VR, RE, Lodekka and LH with every single operator who ever ran one. Now finally, with the completion of the list of West Yorkshire VRs, I have finished this task! This will allow me to move on the next phase of the project which is to locate and publish photos of as many of these vehicles with as many owners in as many liveries as possible. Please contact me if you can help in any way. I am already holding some 20,000 further views from various contributors. Rest assured that I will always ask permission before using a view and I am very grateful to the many people out there who have already given me permission to use photos from their Flickr collections to fill any gaps. I keep a detailed record to ensure there are no mistakes made with copyright, an issue which I take seriously. Former Hants & Dorset/Damory Coaches URU691S has been in use as a film location vehicle in Cornwall for the last eight years. It has been well maintained and is nicely fitted out with tables internally as can be seen on eBay where it is currently being advertised for sale. Further to the report of June 3rd last year, former Bristol Omnibus 7224 (EHT113C) has now been converted for use as an ice cream outlet and has assumed its new position on the banks of the River Elbe in Meissen, Germany. 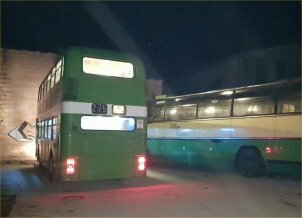 Welcome news from Malta is that Plaxton-bodied LH coach RDE298S which had been saved from scrapping by Heritage Malta has been repatriated to the U.K. for preservation, destination currently unknown. Frans came across three Lodekkas in a visit to Mart Leek's yard at De Rijp in Holland this week. Present were Wilts & Dorset FS6B 692AAM, Mansfield District FLF6G SRB64F and Western National FLF6G BOD36C. Former Southern Vectis/Johnson of Hodthorpe UDL668S has been converted for use as a mobile home in Wallasey, Cheshire but is currently for sale on eBay at what you might call an optimistic price. F.A.D.D.S Party Bus in Mount Juliet, Tennessee, U.S.A. own two VRs, FDV779V (acquired in 2005) and RWT546R (2006). FDV is known as The Majestic while RWT was The Skyscraper but was withdrawn, presumably with mechanical failure, in 2013 and has since been used as an occasional source of spares to keep The Majestic (what an appropriate name for a VR!) on the road. Last noted seven years ago in Poole, former Bristol Omnibus VR EWS752W has turned up intact, stored on a farm in Staffordshire, still in its livery as "The Resound Bus" mobile disco. Rare East Lancs-bodied ex-Lincoln VRTLL (long wheelbase) NFW37V is currently on eBay . It has been used as a caravan in the Outer Hebrides for several years and is showing signs of the tough weather conditions it has been enduring, but looks cheap and may be useful for spares or restoration. Former Eastern Counties DEX229T is currently for sale on eBay . It has been based in California for the past 14 years as a film/TV hire vehicle and looks to be in very smart condition. It carries the identity of SWW301R but the Reversing lamp to the left of the rear registration plate gives the game away about its Eastern Counties origin. One FLF that has been down on its luck recently is Midland General 1388R which is now in Langley, British Columbia, Canada surrounded by junk with Napier's Antiques. Furthermore it appeared in an episode of the SciFi series Aftermath in 2016 which showed that it has had its upper deck floor removed making it a very tall single decker! Former London Transport LH OJD55R was acquired by Jersey Bus Tours in 2015 for spares for their open-top sister bus OJD91R. It was broken up completely last year, but its front cowl lives on in their booking office as seen here. John has been in Germany recently and came across RUA452W in use as a school library in Landau. There are a number of good photos of the conversion on their website here. Western National 2098 (BOD40C) already has a long history of use in the U.S.A. since it was exported there in 1978. It is now owned by the Coach House Concert Hall in San Juan Capistrano, California who are undertaking a thorough renovation including to the Cummins engine which was fitted around the year 2000. A previous attempt at fitting a US engine resulted in the bus having 13 reverse speeds and just one forwards, the conversion not having taken into account that North American engines rotate in the opposite direction to the original Gardner 6LX! The current restoration work can be followed on Instagram here. Mark came across former Bristol Omnibus/Badgerline 5534 (EWS742W) in Peterborough yesterday where it was working for Mutation Motorsport as a promotional vehicle to help open motor sport participation to a wider audience. This VR has been perhaps the most active example anywhere since it finished in service in 2000 having been converted for use as a caravan and used on European and Asian tours before its latest incarnation as a non-PSV. Neil is currently on a continental tour in fabulous RELH6G mark I ECW coach AFM105B. When passing through the town of Zülpich in Germany a number of the party spotted the unmistakable profile of a Lodekka roof behind some buildings. Naturally the tour came to a temporary halt while the vehicle was checked out, but nobody expected to find a bus that was previously believed scrapped and which went missing some 35 years ago! In 1961 a quartet of FS6Gs were delivered to Bristol Omnibus with convertible open-top bodywork for use on Weston-super-Mare sea front. 866NHT is still in use with East Yorkshire, 869NHT is a regular on the rally scene and 868NHT is believed to be safely tucked away in storage in the Bristol area. However 867NHT was sold by Stagecoach in 1982 (very early in that company's history) and was thought to have been sold for scrap, but as you may have guessed by now this is the very bus which was discovered today in a yard in Germany! The chassis plate was still in place to confirm its identity and it even still carries its fleetnumber (8577) inside, so another truly remarkable survivor takes its place on this website's listings. A newly restored LHS is former Western National 1557 (FDV787V) which has been painted in the attractive Blue Bus livery it first carried in the late 1980s for services taken over from Harvey's of Mousehole. Tiny buses were essential to negotiate the tight turn in the village of Mousehole and it was highly appropriate that 1557 made its debut at the recent Penzance Running Day thus recreating this historic scene. Mark pointed out to me that a new photo of former Bristol Omnibus C5054 (LEU262P) in Spain has been posted to Flickr. This former dual-door VR has led a nomadic life in recent years, having been left abandoned at a service station in central Spain in 2008 where it was vandalised and covered in the graffitti which it still carries. It was noted later at Llobregas in 2009 but had gone by 2011. It is now on the sea front at Badalona waiting for the next installment in its adventures. Steven lives in Walthamstowe and was surprised to find former Eastern National VR STW30W at Mission Grove Primary School locally. He has sent photos which I am pleased to publish on the Non-PSV page for Southern England. Another VR tracked down by Frans, and another built to the extra-lowheight 13'5'' pattern is URF661S which was new to P.M.T. but passed to Ribble in 1982. It was exported to Holland in 1992 and this is the first report I have seen since. Former London Country LHS GPD318N was noted complete but in fairly poor condition at Moreton Valence near Gloucester this week. It was previously preserved and retains NBC green colours but looks like it may now be in non-PCV use. Any updates would be much appreciated. An amazing proportion of VRs new to Cumberland Motor Services continue to survive, many of them in continental Europe, no doubt due to their having been built to ultra-lowheight (13'5'') specification making them just about low enough to pass the 4m height limit in many countries (when fitted with low profile tyres). The latest one to turn up is FAO428V which is in use as a mobile snack bar with Tat's Patat based in the town of Renesse, Holland. Interestingly it carries a red triangle on the rear indicating that it is limited to 25 km/hour (about 15mph) on the highway which certainly renders anything above third gear superfluous! Mike's friend Arun Anandesager has stumbled across former Western S.M.T. LD6G JSD925 in the Yorba Linda area of Los Angeles. It still carries the lettering "Himbleton Omnibus" from when it was owned by a Mr Russell-Smith in Driotwich in the mid 1970s. He had it converted for use as a caravan and took it to the U.S.A. on his travels. I don't know what happened next, but by 1998 it was at the Coach House establishment in San Juan Capistrano where it stayed until being sold in recent years. A Lodekka which changed hands in 2016 is former Midland General 309 (TRB576F) which having previously been a mobile cafe in the Republic of Ireland with Bryce Odgers is now enjoying a well-earned static retirement on the island of Inisbofin to the north west of Ireland where it continues in its role as a cafe. Inishwallah Cafe has further coverage of the bus on its Twitter feed here. Meantime I have taken the opportunity to update the bus's profile on this website including a nasty incident from which it emerged to survive for many more decades. Another VR converted for use as a library/classroom at a school is previously preserved Southdown 586 (PUF586R) which is now at Walsh Church of England Junior School in Ash, Surrey. Former Cumberland VR 437 (KRM437W) is alive and looking very well in Holland as an exhibition unit with De Kikvorschen in Den Bosch. Two Lodekkas still alive in the U.S.A. are Western National 2102 (EDV514D) which is in use as a roadside "eyecatcher" by Best Roofing in Miami, Florida and Scottish Omnibuses GSG211D which is undergoing slow restoration in Minneapolis, Minnesota. Meanwhile Robin has come across two Lodekkas in Linz, Austria owned by FEEL Events (a successful party bus company owned by Wolfram Niedermayer). Southern National 1902 (TUO503) was their first vehicle acquired in 2011 and was converted to a mobile party bus in time for the 2012 season. However their other LD is a absolute beauty - yet another Western National Lodekka 1933 (UOD487) - but this one was last reported as exported in 1977!! What's more its destination forty years ago was Linz, Austria, so it has been hidden away in the same town for all these years! 40 years constitutes a record for this website for the number of years between reports for a single vehicle. Its last use was as a grandstand at MRSC Pettenbach, a local speedway club with no engine or other mechanicals fitted. Unfortunately 1902 was hit at the rear by another vehicle last year and sadly 1933 was only acquired so it could be used for spares to repair it. How lucky that there should be a suitable donor vehicle in the same town though! There is currently a glut of VRs on eBay, although I'm not sure you will find a bargain amongst this trio. Cheltenham District/Bristol Omnibus 5088 (NHU671R) is for sale in Holland with a broken gearbox, while London Bus Export are having a clearout and have both JWT761V and YMB519W for sale (although the photos of the latter are of RLG429V which was exported to Sweden some years ago). Former Western National 1117 (VDV117S) is a very widely travelled VR, having operated in Devon and Cornwall for over 20 years, followed by a couple of operators in the North East, then on Guernsey for a few years. It then returned to the mainland and has undergone conversion to a mobile home in the past couple of years. It is now for sale on eBay and is ready for yet another life somewhere! Rare FSF6G ex-Mansfield District 60JAL has had several lives in the U.S.A. since it arrived there in 1979. The latest chapter sees it acting as the London Calling restaurant and party bus in Springfield, Missouri. Currently for sale on Reachoo in Santa Barbara, California is former Bristol Omnibus/West Riding/Top Deck Travel 813MHW. It is NOT a bargain at $27,000 with "damage where it has been moved with a fork lift"!! David-Jan has just acquired FLF6G EHW191C and FS6G JFM220D to join his existing fleet of three VRs and four Loddekkas in Giessenburg, Holland. He acquired the business of Prins Classic from Bart Prins in 2012 and renamed it trouwvervoer.nl. He is a big fan of the buses and will be helping me to complete his fleet list in due course. From his website I have already identified FJB738C ("Sarah"), WVX525F ("Elizabath"), JHK455C ("Mary") and NHU671R ("Margaret"). Former Eastern Counties VR245 (KVF245V) has sat in the yard of London Bus Export at Lydney since 1999 when it was withdrawn by Cambus, so it was quite a surprise to find that it was at Felixstowe Docks today, still in its PrinceBuild overall advertising livery, off to an unknown overseas destination. Talk about good news, bad news...! Paul came across former Western National 2105 (EDV517D) on the website of Camping de la Semois in Sainte Cecile in Belgium where during 2016 it had been reconverted from a static caravan to a mobile vehicle fit for the road again. Unfortunately just a few months later, on January 4th 2017 it had an accident on a narrow road over the border in Holland involving a car which saw both vehicles ending up in the ditch running alongside the road. A report from a local newspaper can be seen here. This is very similar to an accident which befell 68DNG a few years ago and by co-incidence this is currently for sale on eBay , although not all photos shown on there are of the same bus so buyer beware! Shaun came across former Trent BRC834T during a visit to Sofia, Bulgaria. It had previously been used as a seating area for a local MacDonalds restaurant, but since at least 2012 it has been languishing in an inaccessible yard on an industrial estate. John took a tour of the Caribbean in the summer of 1979 and we have reason to be grateful as he found no fewer than six Lodekkas on his travels. Firstly, in May 1979 he visited Freeport in the Bahamas where AAX23B was running transfer for Princess Hotels. He also tracked down NBD918 at their garage premises, which means that they had three in total as 10EWO, another ex-Red & White example was already known to have been with them (indeed it was reported still there in 1983). On to St Lucia in June and he found four LDs, all converted to a highly unusual "toast rack" configuration running for another hotel, this time the Halcyon Days. These conversions have proved frustratingly difficult to identify over the years, although at least two are known to have come from Crosville in 1970. I have a page dedicated to these most interesting vehicles here. Jonathan spotted an FLF being used as a prop in the new sci-fi series "Aftermath" which is filmed in Vancouver, Canada. A few screen grabs enabled it to be identified as former Midland General 1388R which was last reported in use as a hospitality unit for Youth For Christ. Unfortunately it is now in a derelict condition, surrounded by scrap and with the lower deck ceiling cut away to allow filming from the upper deck and would appear to have run its last. Two former Crosville Lodekkas on the move in and around North America are DFB100 (910VFM) which has been sold to an owner in Buffalo, New York, U.S.A. and DFB53 (266SFM) which Buses Magazine for January 2017 has identified as the mystery FLF on the Caribbean island of Aruba. DFB53 had a long trip all the way from Saskatchewan, Canada, while DFB100 is currently being towed from North Carolina but has hit a large snag in Maryland when loose lug nuts gave way on the rear wheel and smashed the hub. Mike is hoping to be able to help with the loan of some parts from one of his fleet of Lodekkas in Wyoming (KDL413, 409PTA, 412PTA and 535VRB). John reports that former Mansfield District/Midland General/Trent FSF6G 59JAL is alive and well as an "eye catcher" at Maxwell Silverman's restaurant in Worcester, Massachussetts, U.S.A.
Bristol Omnibus 508 (THU354G) has always been one of the most popular REs on the preservation circuit, certainly due to its iconic registration batch (a THU-G) but also because its powerful Leyland O680 engine in a short RESL chassis makes it a pocket rocket. It was actually also one of the very first REs to be preserved, passing to the Bristol Omnibus Preservation Society in 1981 at the tender age of 12 years old. In 1992 like a great many other REs it became part of the Northern Bus fleet, where it escaped both receiving their livery (it retained Tilling green throughout) and a visit to the scrap man, passing instead to Malcolm Hodgson who used it as part of his Lakeland Voyager operation. In 2013 Malcolm had it repainted in Tilling red livery with United fleetnames as a facsimile of a class of which there are no survivors; at rallies it was fitted with the registration XHN934G from fleetnumber 2834. 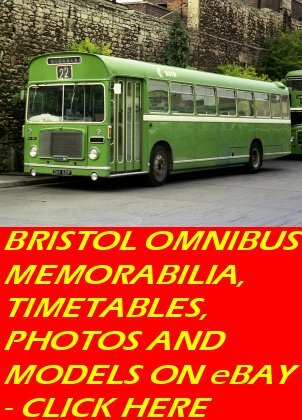 Things have now come full circle and in September of this year it was acquired by Dr Mike Walker of the Bristol Omnibus Collection who has had it repainted yet again into Tilling green livery with Bristol scroll fleetnames, and it is due to return to its home city imminently. Two very different vehicles on the move this month are OTA645G (see entry directly below) which has been snapped up by Catteralls Coaches of Southam and will be used in their operating fleet as a heritage vehicle, while former Western S.M.T. FLF6G XCS961 has turned up in Bremen, Germany just over 30 years since export there from the U.K. during which time it had never previously been reported! There are plans afoot to transport it over 350 miles to Cologne where it is hoped to get a new lease of life. There is currently an extremely rare opportunity on eBay to acquire OTA645G, a Mark I ECW coach-bodied RELH6G here . Dale acquired Western National 2104 (EDV516D) in Avison, Illinnois, U.S.A. in 2004 and is now looking to sell it on. It ran in Alabama for many years, then passed through Tennessee before reaching its current location. I can put any interested parties in touch. Very early Crosville LD6B DLB690 (RFM435) is still alive and well in Bloomington, Illinois, U.S.A. It has received a new lease of life in the last couple of years having been converted for use as a mobile restaurant known as The Bustaurant. It had been fitted with a US engine and transmission many years ago to replace the origina Bristol BVW unit, but it is still great to see a 1954 Lodekka still in regular use. Having been advertised for sale recently from storage with Heritage Malta, great news is that Rob has saved former Hants & Dorset LH6L GLJ485N. He had hoped to drive it back to the U.K. himself, but it soon became clear that there was no way the Maltese authorities would allow it to be registered for use on public roads there, so he is having to have it shipped instead. The bodywork is highly original inside and out, but the same cannot be said for the mechanicals which consist of a DAF vertical engine and ZF gearbox! Rob will rally it in this condition initially, but intends to reinstate an original Leyland O401 engine and manual box eventually. It will make an excellent stablemate for his other LH, AFB586V. It isn't just VRs that are on the move within the preservation movement - the sector is still very active with many worthy vehicles continuing to find good homes. Hartlepool REs have had a cult following for many years due to their long lives, unique features and one-time dominance of the local fleet and there are several survivors. An outlier was OEF77K which had been in non-PCV use for many years but which has now been saved for restoration by the newly-formed Hartlepool Historic Vehicle Preservation Group. We wish them well with this ambitious venture. Another RE on the move is former Crosville YFM280L which has finally been bagged by Clive Myers after a near miss when he nearly acquired it in 2014. Finally Viv Carter's unique former Crosville FS6G with Gardner 6LXB engine and winged-motif front cowl, 314PFM, came up for sale earlier this year and I couldn't resist snapping it up myself, not just because it is a wonderful vehicle and a great survivor having been rebuilt by Viv from its heavily modified condition of a few years ago, but because I really want to gain the skill of being able to drive vehicles with a Bristol crash gearbox. It is proving a tough challenge, but I'll get there and will hopefully be able to swell the rank of such drivers at future running days. The latest disposal from the Johnson of Hodthorpe fleet is UDL668S which has been spotted under conversion for use as a caravan with several windows panelled over. The introduction of Disability Discrimination Act (DDA) restrictions for double deckers on regular services from the beginning of 2017 has had a drastic effect on the remaining VRs in use on sightseeing tours in two fleets in the South West. Following the end of summer operation earlier this month, both Rail River Link and Crosville Motor Services have sold open-top VRs, all four passing into preservation. Crosville have sold VDL613S (ex-UFX855S) and HTU159N to an as-yet unknown owner from Gloucestershire - both are currently stored at Winkleigh, with just LEU263P remaining in stock. Meanwhile Rail River (who had sold WTU467W earlier in the year to Dan Shears after its rear axle failed) have sold UWV614S to Steve Salter who is to keep it in Plymouth and VDV138S to.... me! I'm pleased to say that it made the journey up from Paignton to Tewkesbury faultlessly earlier this week and it will enjoy care and attention alongside my other (very different!) VR, JOU161P. An unusual vehicle to become a static library/classroom is former Ulsterbus RELL6G BXI2598 which is at St Hilda's C of E Primary School in Prestwich, Manchester. It arrived last year and has been fitted out on site unlike the VRs to have found this role in recent years which have been converted and supplied by Simon's InCube Ltd. in Staffordshire. John bumped into former Bristol Omnibus C7135 (828SHW) on an industrial estate in Ettenheim, Germany today. It was easily recognisable through the remaining sky blue livery of its previous owner and its four-track number blinds which were a unique feature of Bristol Omnibus vehicles. Emiliano runs an interesting fleet of vehicles trading as Feste Divertenti in Rome, Italy, of which at least five are Bristol VRs! Each bus has a different marketing identity and each of them is shown on the front page of their website here. Clockwise from the top left, Party Bus is FAO427V, Party Bus Vintage is BKE853T, Party Bus Open is VDV139S, Bus Eventi is also VDV139S in another livery, Wedding Bus Semi Open is XBO121T and Risto Bus (converted to a 40-seat restaurant) is LFJ859W. Emiliano also has a very active presence on Facebook if you want to follow his VRs more closely. Quite a few other VRs have been exported to Italy in recent years and may also be involved in this or other related operations - any information received would be very much appreciated. Former Southdown flat-front VR 516 (UUF110J) is currently listed on eBay for sale. It has been in preservation since 1999 when it was withdrawn from service by Embling of Guyhirn. It should be in very good mechanical condition having received extensive attention in recent years and is in original condition internally and externally so will be a nice acquisition for someone. After a period of a few years in store, former Malta Bus LHs GLJ485N (ECW-bodied) and RDE298S (Plaxton) are currently being offered for sale by tender alongside several other Heritage Malta vehicles. Full details of how to apply can be found here. Blue Mountain Explorer operated a trio of VRs based in Katoomba in the mountains above Sydney, Australia for many years, sampled and very much enjoyed by me in 2001. However, by 2011 flat screen Series 1 JFE539G and curved screen Series 2 HHL737L had been long withdrawn and were damaged in a fire service demonstration. Both were subsequently scrapped, but in 2013 the last one - HHL739L - was sold to Wagga Wagga Winery and is still in use carrying groups of visitors during their visit to the site. Very welcome news received today from Arizona, U.S.A. is the continued existence of former Southern Vectis OT1 (MDL951). This is the last of six open-top Lodekkas to run with Vectis to surface in recent years - amazing that all six should survive in 2016. OT1 is not entirely original as it has received an American engine and transmission, but it is receiving attention at the moment and will be roadworthy again in due course. Keith (of Autobus Review Publications) has produced three volumes of lists showing the vehicles that passed through the breaker PVS of Carlton (Barnsley) from 1991 onwards (sadly records prior to this were shredded before Keith could get to them). The vast majority of these buses and coaches were scrapped on site and the lists have confirmed the fate of a good number of Bristol vehicles not previously known. Four in particular have given rise to significant updates on this website. All of RYG390R, YNW294S, BRF688T and GGM81W had been reported exported in the mid to late 1990s, and at least two of them had been rebuilt with offside entrances, but all three are confirmed to have passed through PVS for scrap instead. Former Western National FLF6B 818KDV has been owned by Mike in Seattle, U.S.A. since 1993. It has been converted for use as a mobile bar by his "Hale's Ales" brewery business and is fitted with an International DT466 engine, automatic Allison transmission and large truck axles and is good for 65mph cruising. Mike is currently looking for a replacement steering box, or at least parts to repair the existing unit - please contact me if you can help and I will put you in touch. On a recent trip to Italy Nick came across the two Lodekkas used as props at Movieland Park Studios at Lazise, near Lake Garda. FL6G 10AAX and FS6G DAP64C have been there for probably more than 20 years, but have recently been repainted from orange into a more sedate red and cream London-style livery. It is notable that htis is the third ex-Red & White AAX-registered Lodekka reported in just over a month! Rare VRTLL6G LFS298F has moved on in the U.S.A. having previously been used on a shuttle service in Rapid City, South Dakota it has now moved to a static role at the Funk Yard in Uranus, Missouri. You can get a very good idea of its setting in the first profile photo on their website here. Yet another Lodekka to receive a new lease of life is Bristol Omnibus C7112 (805SHW) in Italy which has been completely refurbished during its conversion for use as an unusual mobile tailor shop. It is now "Sartoria Mobile" based at Serravalle Scrivia in Northern Italy. VRs from the fleet of Johnsons of Hodthorpe continue slowly to find new owner. Rob noted ODL662R in Churston, Devon this week, apparently in private hands having been sold last year by Johnsons to Used Bus & Coach (dealer) in Warrington. VTH942T, new to South Wales but later transferred to Western National (in whose colours it has been preserved) is currently for sale on eBay . Former Southern Vectis FLF6G BDL576B has had many lives in the U.S.A. since export, the latest following an extensive renovation and conversion to the "Horny Taco Bus" owned by Evil Czech Brewery in Mishawaka, Indiana. Further VRs traced and identified by Frans in Holland include SNJ590R (mentioned yesterday) which was exported in 2004 and used by Esther Matze for spares for her other VR GRF696V. SNJ was sold on to Fort de Hel in Willemstad who converted it for use as an "escape room for a music studio. GRF696V meanwhile has also now been sold, to Zorgboerderij De Mikkelhorst, Haren. Another pair of VRs whose stories have become intertwined are NHU671R (a former Cheltenham District dual-door vehicle which used to take me to school) and BRF692T, a former P.M.T. Leyland-engined single door example. The number of doors on each of these VRs turns out to be crucial; BRF was registered BL-FS-27 locally in 2001 and changed hands a number of time. Then, in 2012, a VR turned up in a white livery carrying BL-FS-27 and even indicating chassis number VRT/SL3/1687 from BRF - but it couldn't be the same bus as it had a central staircase. Some sleuthing ensued and it was positively identified as NHU. Presumably BRF hit a terminal mechanical problem and was replaced by a more sound vehicle, although recent eBay auctions show that it too now requires a replacement gearbox before it can return to the road. In his latest travels Frans has tracked down two VRs to the quayside at Amsterdam Noord docks. WDM348R has been in use there as a cafe for a while now, but has recently had a very imaginative conversion where the rear engine covers have been removed and altered for use as a bar. The other VR has been a difficult one to identify in the past and I am indebted to Frans for checking the chassis number which shows it to be URU689S. This passed to Wedding Classics on export to Holland in 2009 but had arrived in its current position at the docks by 2012 in a half-red half-cream livery, which led me to believe that it was a former Currian Road vehicle and I had assumed it was SNJ590R (which is also in Holland). It has now been repainted allover red by its current owner Stichting Convoi Exceptionnel. More fascinating internet links from Tim. KRU240F is the third vehicle reported in the past week in use as a paintball prop for the "wars" that are becoming an increasingly popular pastime. This time it is on the idyllic Hawaiian island of Maui where it ran for many years for Sugar Cane Train, but had hit hard times and was unlikely ever to run again. The same applies to the amazing surviving FLF-series prototype 995EHW which turned up at the bottom of a garden in Maui recently; it was inspected with a view to repatriating to the UK but was found to be too far gone and is now - very regrettably - likely to be broken for scrap. Another VR exiled in Europe is former Trent 851 (PRC851X) which is now used by John Martin SA brewery in Belgium to advertise their Waterloo beer brand. Frans visited Paintball-Games Venhorst in Boekel, Holland this week and found both BOD35C and HWE826N in use as props for use during the paintball "wars". Not surprisingly both are looking pretty awful having had their own paint taken off shot by shot, but at least they are providing entertainment rather than sitting in a scrapyard somewhere. Tim Weatherup/Frans Angevaare (part 2) Former Bristol Omnibus/Badgerline 5533 (EWS741W) has found an unusual resting place having been incorporated in the fabric of the building at Hotel den Helder in the town of den Helder in Holland. PAG511W (now known as "The Red Lady") remains with Jan van Esch in Boxtel, Holland where it has received a thorough refurbishment and an unusual conversion to reduce its overall height below 4m. Unlike other conversions where the roof is flattened, on this one the windows have been reduced in height (while retaining the hoppers and vents) giving an interesting appearance which can be judged here. In 2001 Willowbrook-bodied VR TFN991T was sold by dealer Bristol Bus & Coach to an entrepreneur in Copenhagen, Denmark who planned to use it as an office in a warehouse. The reality turned out rather differently - the roof had to be cut off for the journey and was intended to be refitted on arrival, but in fact the bus sat at the harbour for a number of years, used as a pavillion until the upper deck floor deteriorated so badly that it was sold to a local scrapyard where it was believed to have been broken up around 2006. Former Devon General VR 1188 (FDV832V) has been used as a mobile home based in the Forest of Dean area since 2005 but has now been retired and converted for use as a static caravan at Pope's Hill. Full photographic coverage can be found here. Two Lodekkas still clinging on in someone's back garden in deepest Michigan, U.S.A. are 807SHW and FGM320D which have been sitting derelict for many years now and really will need some attention soon before they are past saving. There is a recent picture here. MVX883C spent many years after export in Alaska keeping well under the radar, but in April 2012 it was acquired by David Sale in Vancouver (Washington state U.S.A., not the one in British Columbia, Canada) and after a complete refit from top to bottom opened in May 2015 as Nellie's Food Cart. Further details of the conversion and more about the history of the bus can be found here. Another mobile cafe conversion is another former Eastern Counties, VR228 (DEX228T) which is in Fribourg in Switzerland. It has received a repaint since its last report and appears to be in good condition. Finally, completing a trio of mobile cafe conversions, former Crosville DLG792 (XFM203) is now Blakey's Bus Cafe in the village of Mulbarton in Norfolk. There are two VRs currently on eBay - PAG515W and DCA528X. Lodekkas and VRs continue to turn up regularly and I am grateful to both Tim and Frans for providing lots of information for this website, Frans having visited many of the vehicles in Holland and Belgium in person. There may be several parts to this update due to the volume of material! 7 Hills Camping in Rome used to be a regular haunt for the Lodekkas of Top Deck Travel and when they suffered major breakdowns both KGH891A (ex-804SHW) and STW763D were acquired for static use on the camp site and both were still there in April. 7 Hills were also reported to have had Brighton & Hove OPC165D (ex-JPM80D) but there was no sign of this. LEL652F has a new owner in Holland at Van Vlastuin Taxi & Touristbus in Woudenberg. Many operators are finding it hard to meet new Dutch regulations - this Lodekka has been fitted with an offside entrance, roof escape hatches and a second staircase in order to continue in use. Hans Classic Cars of Nijkerk have a similar conversion under way on former United Auto VR CPT732S, although this work has now come to a halt and the bus has a thick layer of dust from sitting in the garage for some time now. Hans also have 428PTA which spent quite a lot of time registered BOC362A in the UK after finishing with Western National. In an amazing co-incidence the second former Red & White FS of the week has turned up, this time it is L763 (AAX21B) which is currently for sale in Moscow. 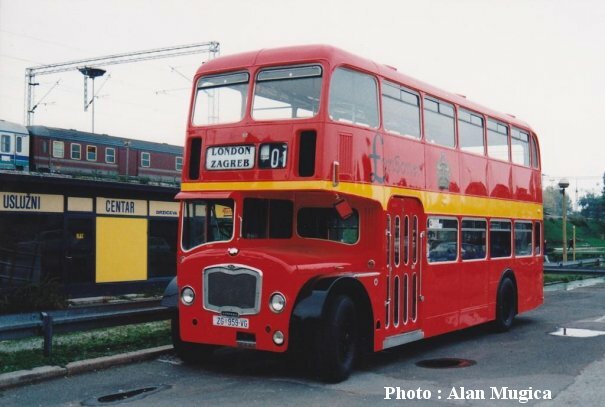 This one was a late export having been fitted with a Gardner 6LX engine and lowered to 4m overall height by London Bus Export in Lydney prior to shipping to Russia in 2005. Sholto was on a train in Switzerland between Murten and Fribourg earlier this month when he spotted a red Lodekka while passing through the village of Cressier. A few Google searches later he had tracked it down to the company Limo1 and from photos on their website we have identified it as former Red & White FS6B L1063 (AAX24B). This had not previously been reported since it was exported to Germany in 1985, so this is a great discovery. Paul and Nigel have just visited Philadelphia and report the great news that the entire fleet of VRs used by Big Bus there remains intact, although not too many of them were actually noted in service. Most of their identities are well known, but fleet number 320 remains a mystery (one which I am hoping to solve soon). A number of preserved vehicles have been reported on the move this summer. RDV419H, one of the very last Mark I ECW RELH coaches to have seen service back in the 1990s, has passed to Richard McAllister of Sowerby Bridge, West Yorkshire. Meantime the loss of storage at the former Denyer yard in Essex has led to rare dual-door RESL6G CCG296K being moved off site while VTH941T has passed to Robin Harrison on the Isle of Wight, HKE680L to Dave Mulpeter (Seaford & District, where on inspection it is not considered to be in fit condition for restoration and is likely to be used for spares) and XHK234X (Eastern National's last VR) to Jonathan Brenson of Little Waltham, Essex. The final escapee is long-derelict HPW447D which passed initially to Viv Carter of Colchester but which is now with Viv's son Lyndon for restoration. A surprise was the continued existence of LHL6L (long wheelbase LH) Plaxton Elite II-bodied coach NWW162K in the yard of Bain of Oldmeldrum. It has been withdrawn since at least 2000 and has survived a major clear-out of older vehicles from the yard in recent years. It is not being advertised for sale, but if anyone is genuinely interested in saving this rare coach then it might be worth a polite enquiry to the operator. Rare dual-door ex-City of Oxford VR 474 (HUD474S) is currently undergoing restoration work in Houston, Texas in the U.S.A. This is welcome news as the last report of this was in 2009 when it was sitting in a muddy field gradually deteriorating. Information received directly from the operator has helped to clarify and confirm the fleet of Piet Verbeek of Veen, Holland. 504BRM is a rare ex-Cumberland FSF6G which has been in the fleet for the last 18 years and has recently received a thorough overhaul and repaint into allover white livery. Former Eastern Counties BNG886B retains its original Gardner 5LW engine which had a rebuild a few years ago while JAH551D is also owned and has also had its 6LX engine rebuilt. Wilts & Dorset 691AAM is now fitted with a DAF 1160 engine, while 558BNG (also ex-Eastern Counties) was owned until recently but has now been sold. Another fleet of Lodekkas on the Continent which has recently been confirmed as intact is that of Movil Bus of Vigo, Spain. No fewer than ten are owned, all converted for various promotional activities, and a fantastic line-up of the whole fleet was recently posted to their website and is currently Photo of the Month on our home page. The identity of eight of them is known, but two of the closed-top examples are a mystery so if anybody has any additional information about this fleet I would be delighted to hear from you at rob@robsly.com. Once again this year the Glastonbury Festival has provided much of interest to VR fans. Pride of place goes to former East Kent XJJ658V which has finally appeared on the shuttle services some 15 years after acquisition by Chepstow Classic. It has been thoroughly prepared for service mechanically but amazingly retains Stagecoach stripey livery (minus most of the orange!). Others also confirmed at the event are UFX856S, CJJ677W, JMB401T (still with its Leyland 501 engine), XJJ653V, XJJ655V, XJJ659V, JWV269W, VDV142S, Abus XHK221X, Martin Curtis's AHW201V and AYG941H in its usual role as mess hut and driver accommodation. Two notable restorations recently completed are Brighton & Hove RESL6G 210 (PPM210G) which has been returned to NBC green livery and Cheltenham District dual-door RELL6L 1003 (KHW309E) which has been repainted in Cheltenham's rich red livery. Both the Rayner family and the Stroud RE Group are to be heartily congratulated in returning REs to the road which had previously been in poor condition. Frans came across former Maidstone & District 5886 (HKM886V) today under tow in Den Haag following a breakdown. It is currently owned by Andere Weg Vervoer of Amsterdam who also show WWC743F as current on their website. The VR had not been reported since export to Holland in 2000 but the sequence of subsequent owners has been obtained from the website of the Dutch authorities. This photo shows that since it was last reported in 2007 in Holland, former West Yorkshire DX30 (OWX174) has had a repaint in allover white and has also been fitted with a rather small offside entrance. Ian's brother Paul came across early Series 3 VR MDM285P at Richard Hale School in Hertford earlier this month - this one was known to survive somewhere as it had continued to be relicensed year on year, but was last reported with Hackney Adult Education during 2009. It is believed to have moved to Hertford soon afterwards, although it is not known whether it is still used as a technology classroom nor whether it is currently mobile. Mark posted a photo of an unidentified FLF in Alaska to this website's Facebook page last night. I had an idea which one it might be from features on the bus and previous photos of it, but help from some Mansfield District enthusiasts confirmed it to be FNN158D which has made the very long journey from San Diego, California since 2007 when it was last recorded. As reported earlier in these pages, InCube Ltd. of Stafford have made a niche for themselves recently in converting VRs for use as mobile classrooms. It appears this has now stopped as they have placed three VRs on eBay - AHW198V, TDT864S and HJB455W. A couple of ex-Bristol Omnibus FLFs on the move in Europe are 7165 (AHY981B) which has been re-acquired by Londag in Wadenswil, Switzerland for further onward sale, and 7224 (EHT113C) which had been used as a mobile restaurant by Pic Nic Del Mundo in Belgium since 2010 but has now been acquired by Robert for refitting as an ice cream outlet. It will soon be moved to the banks of the River Elbe in Meissen, Germany. Rebecca is already the owner of OCD771G, rescued from the island of Victoria in British Columbia, Canada last year. She is now in Vancouver where she has tracked down OCD763G and OTA292G, still with Big Bus where they operated for almost a quarter of century. Both are now out of use and we hope for news of a further rescue effort soon! Paul brings welcome news of Southern Vectis open-top LD6G MDL563 (now registered BAS562) which has been unreported since sale by Quantock Motor Services in 2007, but which is stored with Tony Hagon of Bowermadden, near Wick in the very north of Scotland. It has been left outside and is in poor external condition, but renovation is imminent and hopefully it will one day be returned to operational condition. Paul has very kindly sent a detailed update on recent changes relating to Bristols in Ontario, Canada. First up is former Southdown convertible (although it was separated from its roof many years ago) VR UWV605S which had previously been running for Lady Dive tours in Ottawa. It has recently been acquired by James Doucet of Cumberland, Ontario for conversion to a mobile chip wagon alongside a pair of Daimler Fleetlines also owned by James. JAE630D has already had a long and interesting career in Nova Scotia, having first been a sightseeing vehicle in Halifax, then as a mobile chip wagon, and finally a static cafe in Englishtown. By 2015 it had been sold and was towed to Ontario, owned by Andre and Natalie Audet and is parked in Greely. Much of the interior has now been removed in preparation for a further new life as a retail outlet. 147YFM remains in use with Ken Loughren as a fast food outlet at Elizabethtown-Kitley and was observed by Paul doing a roaring trade earlier this month. Finally a mystery for Paul which I was able clear up thanks to the wonder that is Facebook. Wilts & Dorset LMW915 had been parked adjacent to George's Fish & Chips at Carrying Place, Ontario since 2005 and was still there when Paul last visited in October 2015, so he was very surprised to find earlier this month that it had gone. The owner told him that it had been towed thousands of kilometers to Alberta, but had no idea where in that massive state the new owner was located. It just so happens that Nigel Clydsdale had already posted photos on Facebook of the bus being towed back in November 2015 and that he is the new owner, based at Fort McMurray - famous in World news recently for the wild bush fires that destroyed part of that city. Brian came across former Mansfield District 378RNN in Palm Beach, Florida this week. It was in great condition and has been painted in an unusual livery of red on one side and white on the other, lettered for Palm Beach Double Decker. Paul also reports that Eastern National AEV814F is undergoing repaint and preparation for a further season in use with Antique Auto in Belgium. The business has recently moved to Antwerp from Brussels. Having passed from preservation to dealer Mike Daly of Warrington (Used Bus & Coach Sales) in January, VR FDL677V is currently for sale on eBay. A surprise survivor, although only just, is Northern Counties-bodied UTD283H which was new to Lancashire United in 1969. The batch was withdrawn at a fairly young age and therefore many found buyers, often in non-PSV roles. 283 ran for Haydock Timber in the 1980s, then saw use as an immobile storeshed before being converted for use as a caravan. It was a common sight in the Manchester area in the early 1990s but then disappeared, presumed scrapped. However, it has just turned up at an unknown - but very remote - location in mid Wales where it has been resting in woods since at least 1996. It seems that any attempt to move it would result in it falling in a heap, but at least it makes an interesting sight here. Sadly the other late survivor from this batch, UTD298H, was finally scrapped in 2014 after looking like it might make it to restoration. Former Eastern National STW26W has already had more lives than most buses ever see and it is now nearing completion as the Menehune Tiki Bus in Eaton, Ohio, U.S.A. The conversion is extensive and the interior looks amazing! To follow its exploits after it opens for business next month they have a Facebook page here. Former Shoreline Suncruisers open-top VR HPK507N is currently for sale on eBay . After 26 years working Scarborough sea front it would be a shame to see it escape preservation. Even better than preservation, the VR has been sold to Stagecarriage of Middlesbrough for further use! If you ever needed proof that Bristol Lodekkas are almost indestructible how about the prototype FLF, former Bristol Ommibus LC8540 (995EHW) which has just turned up again on Maui, Hawaii, some twelve years after it was last reported and 35 years after it first arrived on the island. It is now on Craigslist at a reasonably affordable $6000, although obviously rescuing it is going to cost a lot more than that! David found out from the current owner that it was inherited when he purchased the property. Apparently one day he was cutting the grass and discovered a road he didn't know about (as you do!). He cleared out the road and at the bottom he found the bus sitting in the bushes! He towed it up to the top of the hill and it has sat there ever since. Bob, now based in Daventry, has added OVV849R to his impressive collection of former United Counties vehicles. It has left Chepsow Classic where it retained its touched-up Stagecoach livery. Two more Lodekkas have turned up recently in North America. Garth has former Bristol Omnibus 7061 (506OHU) in Saskatchewan, Canada. It had been used in previous years for stag tours and pub crawls but has been laid up for a while. Garth is now looking to sell it, but of course any rescue would be hugely expensive from such a remote location. Ryan has former Lincolnshire 2376 (OVL471) in Columbus Falls, Montana, U.S.A. This one has been around a bit, having been in Virginia, Wyoming and Utah before its current home and is approaching its 40th year overseas. Ryan is busy restoring 2376, but is hitting the usual problems of sourcing spare parts that are hard to find in the UK let alone the other side of the Atlantic! Daniel is in Philadelphia at the moment and has confirmed the very good news that VRs continue in use with Big Bus here. Noted during his visit were 350 (KRU856W) and 395 (JWV264W) which continues in use as a promotional vehicle parked on the street to attract business. A rare find reported on 5th February 2015 (see below) was that of flat-fronted VR CBD783K which was for sale at the time in Belgium. Today Donald came across it undergoing restoration in the open on a street in Berlin, Germany. It has been bought by an organisation called Bus Pi who have a Facebook page which can be found easily if you want to see more photos of it. John came across HJB456W in Milan this weekend working for IdeaE20 Marketing promoting McVities biscuits. A look at their Facebook page reveals that they have been running this VR since 2013 during which time it has been on extensive tours of Europe. Paul dropped in at Antique Auto in Brussels this week and confirmed that former Western National EDV521D and Eastern National AEV814F FLFs are still resident, although both looking rather down-at-heel these days. Paul also contacted me with the news that he has decided to sell XHK234X, numerically Eastern National's final VR. He would of course like to see it go for restoration - more details can be found here if you are interested. A former Eastern Counties FLF currently on eBay is GPW441D - it is in Minnesota in the U.S.A. and has clearly seen better days! Carter's Coach Services was sold recently, signalling the end of several decades of interesting operation of Bristols of all types. JNG50N has recently been sold locally for preservation, and they currently have FS6G 314PFM for sale. However, Viv Carter is retaining the last VR to enter service with the NBC, VEX294X, which we really hope to see on the road later this year. A sale has been concluded for NNU449J, former Midland General dual-door RELL6G. It has been sold to an owner in Worthing who plans to finish the bus as a mobile home and take it for an overland tour to India! Let's hope it turns up on Flickr at some future date. A friend of Phil's was on the Falkland Islands recently. Having flown into a grass airstrip, a 20-minute Land Rover ride across Carcass Island and a 2 hour boat trip to a remote offshore island called West Point the last thing he expected to find was an ex-Crosville Bristol LH6L - but that's exactly what he found there! In fact MCA617P was flown to the island suspended from a helicopter in the mid 1980s where it was used to transport tourists from a cruise ship landing stage to Devil's Nose penguin and albatross colony. It has however been out of use for many years after these duties were taken over by Land Rovers and is slowly decaying in the corner of a field. Another LH in the news is AFB597V which was the very last LH chassis built (there were later LHSs and a pair of LHL van conversions). It has been bought by Morton's Coaches of Basingstoke who have turned it out in Wilts & Dorset post-deregulation livery. Although many of this batch operated for the company this one actually never did, but rather satisfyingly it has been numbered 3859, following on from AFB595V (which carried 3858). Two FLF Lodekkas are currently for sale on this German-based vehicle sales website. Former Bristol Omnibus 7165 (AHY981B) has undergone a thorough renovation and conversion to a mobile catering outlet in Switzerland as can be seen here. There is also a Scottish FLF on the same website owned by Heinrich Wulfes, forrmer proprietor of the well known German Lodekka importer Der Blickfang. Heinrich has promised to send me the chassis number of this one next week to properly identify it. He also owns former Bristol Omnibus C7262 (GAE883D - the last FLF in regular service in the UK) which he is to keep for his own private collection. After arriving in Germany with another owner in 1994 it sat for 20 years outside, unused and deteriorating. When Heinrich acquired it in 2014 it started immediately and he was able to drive it to its new locaation! The Scottish FLF turns out to be an absolute corker. The chassis number supplied by Heinrich Wulfes (236279) shows it to be SHN252F, new to United Automobile, but soon part of the VR/Lodekka swap which saw many FLFs go to Scottish operators. It landed with Eastern Scottish and lasted right up to 1990, latterly as a driver training vehicle. It was exported to Germany in 1992 but had remained lost..... until now! Two Bristols currently for sale on eBay in Holland (at what would seem to be vastly inflated prices compared to what they would be worth in the UK) are former Western S.M.T. FLF6G 1951 (AAG119B) (the auction can be viewed here ) and a gem for me (being one of the VRs I used to take to school) former Cheltenham District 5088 (NHU671R) (auction here). For anyone thinking of repatriating a bus from the Continent there has to be a deal to be done on these when the owner realises their true value. As if to emphasize the continuing Bristol variety to be found even in 2016, four news items have been received in the last 24 hours about two Lodekkas, a VR and an LHS. I am always so grateful to the many people who contact me with information and photos for use on this website and can assure you that everything received is appreciated and will be used on the site sooner or later. Paul came across rare surviving ex-P.T.E. LHS6L JUG357N clinging on in use as a storage shed amongst preserved vehicles while Chris has found a buyer for FLF6G HPN79D which will hopefully secure its future. Steve rediscovered Alexander-bodied VR PBD40R at Chiltern Park Aerodrome near Woodcote in Oxfordshire (and has added photos of it to his excellent Flickr site) while James came across 529VRB in Switzerland last August, still sporting its Midland General livery applied during its period in preservation up to the early 1990s. Great news is the repatriation of PTT98R to the South West for preservation almost 30 years after it left for the Isle of Wight. After a long stint with Johnson of Hodthorpe it was withdrawn in 2011 and had been badly vandalised in its storage unit with many windows smashed and much of the electrical cable stripped. Peter is determined to put this all right though and it will be great to see what livery he chooses for it. A rare ex-Midland General FSF6G to turn up in Piedmont, Oklahoma, U.S.A. is 450SNU which was last reported in 2001 in Ballard, Kentucky. It has been around and about in the US as it was originally sold to an owner in Florida as long ago as 1979. It turns out that the report on November 3rd 2015 of GRU975D still being in Florida was incorrect. It was in fact purchased a few years ago by Duncan Quinn, an ex-pat Brit who runs a successful fashion company in the U.S.A. Duncan had the FLF towed to New York where it received a complete revamp for use as a mobile exhibition unit. A Lodekka that has gone unreported since it left the UK in 1992 is former United Counties KBD716D which went to Germany but has now turned up in Italy with Mostra Scambio in Borgo d'Ale. Local sources suggest that its Italian registration was issued in 2007 so presumably that was when it arrived from Germany. Tim continues to turn up interesting links. Former Southern Vectis 562 (SDL267) remains in the Czech Republic with Crossline Systems and is used as a mobile exhibition and entertainment unit. There are lots of photos on their website here. XAN431T, an unusual VR in that it was new to the Atomic Energy Research Establishment at Harwell, has passed from its previous owner Escape the City (who used it in its orange livery as accommodation for private trips) to Membus (also of London) who have repainted it in light blue and have converted it for use as a mobile language classroom/studio. Funds have been crowd for a grand tour of Europe which it is due to undertake later in 2016. CJH115V is another VR which has got around a bit during its life. It is now converted for use as "The Bristol Pub" and plies its trade on the Hungary/Slovakia border in Sturovo (on the Slovakian side) and Esztergom (over the bridge into Hungary). An FLF very much still in use is former Hants & Dorset 1537/1234 (FLJ154D) which is available for hire through Laperuta Turismo of Naples, Italy - see their website here. Another Lodekka on the move is Western SMT B1467 (MCS756) which had previously been converted for use as a mobile cafe and is now owned by Pascal and Marlène Mandavy at Marillac-le-Franc in central France. Anthony reports the demise of several VRs over in New Zealand and I am grateful to him for regular updates from the other side of the World. KRM436W is now owned by Auckland Explorer and is being used for spares to keep WRC832S on the road. Similarly KWA216W is being used by Charlie's Party Bus in Christchurch to keep KRM434W running. KRM433W remains with Party Bus in Auckland but has no engine or gearbox and is only used now as a photographic "prop" for the business. SAO410R has also reached the end of the road and is used as a cow shed on a farm at Tikorangi. Very welcome news however is that the restoration of Anthony's own VR - none other than the prototype Series 3 ODV78M - is progressing well and has begun to receive a repaint into NBC green. It has also moved under its own power for the first time in several years recently. Another classroom conversion by InCube Ltd. of Stafford to turn up is former Maidstone & District WKO132S which is was delivered to Preston Hedge's Primary School in Northampton last October. The teachers (if not the children!) should appreciate the additional headroom of this highbridge VR. Former Eastern National FLFs have figured regularly in these columns and the latest to surface is former 2837 (LWC663C) which is still with Vector Group in Italy, having moved from their previous base at Monfalcone to Udine province. Photos of this and also their Dennis Loline can be seen on their website here. The third vehicle shown is OWJ637A mentioned two entries below (17th January) which was never owned and which has now gone to Japan. Further to the item below from 17th January, the great thing about Top Deck Travel having been run mostly by Australians is that many of the Lodekkas in that country have been snapped up by former TDT personnel and are well cared for. In addition to 503BTA with Paul and Roz Willcocks (it was successfully shipped from Southampton this week), KPW473D was shipped from the UK in 2012 by Mark Armstrong, while Dave Morse has JFM236D and Bill James has LWC665C. Another one to gain another life is KPM84E (former Top Deck "Moose") which passed from Dee Decker in Melbourne to Paul Brunton in Geelong back in June 2015. It had hit hard times in recent years and was pretty derelict, but Paul is determined to return it to the road. On top of these Paul Ludemann also has FLJ155D ("Deep Purple") over in New Zealand. Finally, VR AHU513V has also been bought by Paul - this had been shipped to Australia in 2009 for conversion to a motor home but funds ran out when it had been stripped out and the bare hulk is to be used for spares in the restoration of Moose. Paul is of course also the owner of the unique transverse-engined VRL conversion, former Standerwick OCK66K. A recent visit to Robert's treasure trove of a yard at London Bus Export in Lydney yielded a wealth of news. Pride of place was taken by former Western National LD6G 1951 (503BTA). The last time I saw this one it was a total wreck, open to the elements and looking like nothing more than a collection of spare parts. More than two years of hard work for customer Paul Willcocks, an Australian formerly of Top Deck Travel, has converted it into a gleaming pseudo Top Deck vehicle. I was lucky enough to take a ride on it with Robert at the wheel and the Gardner 6LW positively purred - I have posted several videos to YouTube here (others can be found by searching for 503BTA). The bus leaves on the long sea journey to Australia next week. Further recent sales from Robert's stock of vehicles include former Bristol Omnibus VR 5530 (DHW352W) which was extensively refurbished and shipped to New York in 2015 for onward movement to Chicago, and former Crosville open-top OWJ637A (ex-928CFM) which was also shipped last year, this time to a buyer in Japan. HJB453W, YMB519W and another wreck of a Lodekka, 848AFM, which is also earmarked for a back-from-the-dead refurbishment! Readers are warned that casual visitors are not welcome and will find themselves face-to-face with a very fierce dog! The Lodekka reports just keep on rolling in for 2016! Graham received a photo from a friend of former Eastern Counties FLF459 (JPW459D) running a free service in the French town of Béziers today. It was last noted with Dreams Limousines in the town of Cugnaux in the same region of France back in 2011, but now appears to have passed to Les Bus des Allées and carries the Béziers town crest. Blake has contacted me from the Coach House concert venue in San Juan Capistrano, California. This is a place I have been aware of for many years as both JSD925 and 811KDV had been attributed to them since at least the late 1980s until quite recently. It turns out that they have used a stylised image of 811KDV as their logo since 1980 (and therefore, presumably, have owned it since then). It can be see on their website here. Sadly 811KDV was stolen in 2005 and was never traced (although it was advertised on eBay in 2008! ), while JSD925 was sold locally a couple of years ago. Great news is that they have just acquired an operational Lodekka in the form of another ex-Western National FLF BOD40C. This was last reported with my correspondent Vance Sprock of Cupertino (also in California) in 2011, but had since been sold to Eric Maltais who drove it the nearly 3000 miles to Tampa, Florida with the intention of converting it to a party bus. Sadly Eric's business partner passed away and he sold it on to Blake for use at the Coach House. Consequently it was driven all the way back to California. This was no 45mph plod however - some years earlier Vance had overseen the replacement of its Bristol BVW engine with a 270hp Cummins unit, 131b turbo, 9-speed Eaton gearbox and "Jake Brake" engine brake with a maximum speed of 71mph! You can bet that this one shifts like no other Lodekka! A couple of updates on Lodekkas have been received early in the New Year, one recent, one not quite so. Anne Sarrag stumbled upon this website by accident and was kind enough to take the time to let me know that she still has former Hants & Dorset FS6G 1504 (BEL677B). It is currently stored in the Brighton area, but is still in its guise as a Book Bus which it became as long ago as 1982. It is a rare survivor in a pure non-PSV role in the U.K. these days. Paul forwarded a link to a photo of an FLF sitting unloved in a yard in Montagnac in the south of France. Unfortunately the photo was taken in June 2003, so the chances are very likely that it is no longer there, but a series of features on the bus mark it out as former Eastern National 2851 (NTW944C) which was exported in 1981 and has not been reported since. If anyone is going that way (or is prepared to scour Google Maps) it would be great to see if its location can be identified and whether or not it still survives. Trevor has opened the year with welcome news of his acquisition of Hants & Dorset FLF6B 1557 (KRU224F) from its former preservationist owners. It is his intention to test it to Class 6 MOT standard and run it on private hire work in the Bournemouth area this year. The plan is to restore it in NBC red livery and carrying its later fleetnumber of 1254.